This summer has been a rollercoaster of emotions and changes. My sweet little Boston Terrier has had issues on and off with pain in the neck region for several years. In the first week of June he started having pain and was unable to walk. He was paralyzed in both his front and back left legs. After being told by a neurologist he may have a brain tumor and we were expecting the worse, he underwent a MRI and was diagnosed with a herniated disc at cervical vertebrae number 3 and 4 with a large amount of bruising and compression on the spinal cord. He also was diagnosed with intervertebral disc disease at C5 & C6. Treatment was recommended as an aggressive medication approach and if that did not work, then surgery. Little guy was on bedrest for several weeks and pain meds every six hours. It was an intense month of June but after three weeks, he started to walk again and regain voluntary control of his legs. A month later he was weaned off pain medications and I started to wean him from his steroids. He also began a physical therapy regimen where I began increasing his leash time around the neighborhood. We have stuck to a strict no jumping up and down from furniture and no stairs policy in our home. It has been very challenging and I have been extremely grateful for having opted years ago to work as a school nurse and have the ability to have my summers off. I really wish we would have done the MRI a year prior when he was taken to the vet for a severe pain episode and they diagnosed him with a pinched nerve. If we knew what we were dealing with, we could have made lifestyle changes to prevent this bad episode from happening. I guess you can't really go back or have regrets but just be grateful that everything is better now and we know what we need to know now. He has always lived a very active lifestyle and I want to maintain as much of his activity as possible. We've gotten creative with how we're incorporating getting him out and about and the jogging stroller I purchased for him has become more of his means of travel nowadays than a luxury for when he gets tired walking. In the midst of dealing with my ailing pup, I started to work on studying tarot. I've always wanted to learn what the cards mean so I wouldn't have to rely on looking up meanings for every card in books. It has been such a fun and interesting experience of study this summer. I have learned a lot about myself in the process. I look at tarot cards more in a holistic approach and a form of brain mapping. A tool that helps you to organize your thoughts regarding situations or just daily happenings. I don't believe in tarot cards as a means to foretell the future, unless you count self fulfilling prophecy from a reading but even then its not technically a means of "telling the future." This summer has allowed me to have a lot of self reflection and put into perspective situations I have had to go through. I hadn't really had the desire to sit down and write. With everything going on with my dog and some other things I haven't discussed that went on at the same time as everything with my dog, this summer has been highly emotionally draining that has taken it's toll mentally and physically. I've just recently returned to being able to teach my aerial classes after having been put on bedrest myself for a few weeks. The tarot studies were a welcomed distraction. I'm hoping to get back on track with blogging and my fitness journey. 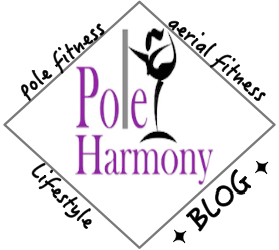 I'm exploring new things with recipes so I plan on sharing those experiences here and how they relate to both pole dancing and aerial. I also moved my home pole to another area in my home which will allow me more space. I'm hoping to gain some inspiration to get back on the pole and look forward to diving back in with pole related content very soon.